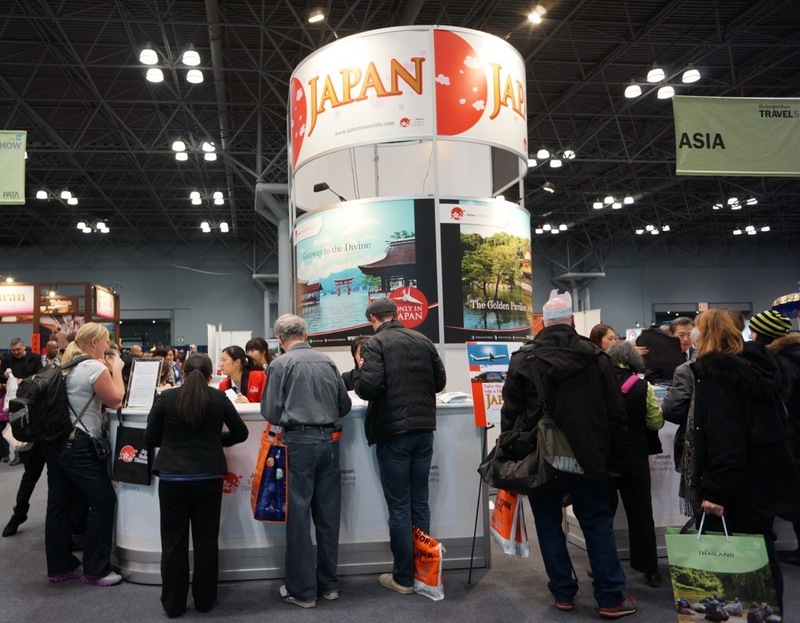 The tenth anniversary of The New York Times Travel Show took place January 18 through 20, and Japan was one of the many countries represented at the Javits Center. The Japan National Tourism Organization assembled New York-based Japanese businesses to inform travel show visitors about the most popular destinations Japan has to offer. One concern for potential visitors to Japan – or anywhere for that matter – is the cost. And when people go to Japan, Tanaka says most potential travelers from are interested in visiting Tokyo, Kyoto, and Itsukushima Shrine, a UNESCO World Heritage Site near Hiroshima. With The Art of Travel, visitors can explore Japan’s unparalleled culture through personalized tours to visit museums and artists’ studios. The Art of Travel is a creative travel agency headquartered in Kanazawa, Japan, and emphasizes traditional and contemporary Japanese arts using materials such as ceramics, bamboo, and kin-makie, a type of gold lacquer. Through their cultural expeditions, The Art of Travel, which also has a showroom in Midtown where they sell products made by Japanese artists and non-Japanese artists based in Japan, hopes to preserve the traditional Japanese arts that are dying in these modern times. While history and tradition are important for tourists to Japan, many contemporary aspects of Japanese culture are becoming popular. Her ideal vacation there would include Tokyo for the anime culture and music, Kyoto for the temples, and rural towns for hot springs. She also has friends in Sendai and an aunt in Sapporo. 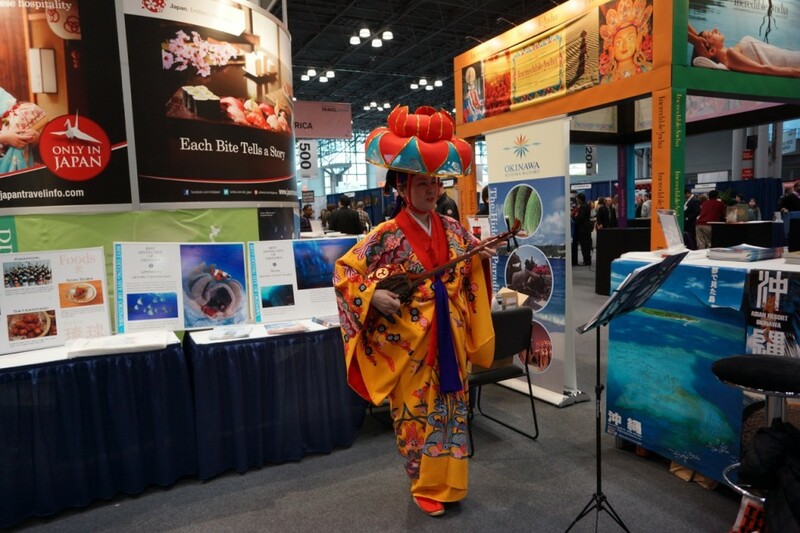 On the opposite end of Sapporo is Okinawa, and for the first time in the The New York Times Travel Show’s ten years, Japan’s southernmost prefecture had a booth. 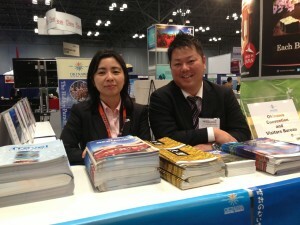 The Okinawa Convention and Visitors Bureau (OCVB) shared the Japan booth, encouraging visitors to give Okinawa’s beaches a try. There is typically a lot of walking and sightseeing and squeezing as many Tokyo and Kyoto landmarks into vacations, so Miyazato suggests to counter that, people should take the 90-minute flight from Haneda Airport to Naha, the capital of Okinawa, and find a spot on the beach at one of Okinawa’s heralded resorts. Okinawa contains hundreds of islands, and Miyazato promotes their natural beauty, especially that of the Miyako Islands and Yaeyama Islands southwest of Naha. The subtropical climate is a huge draw for visitors, as are diving spots and lush forests. New York-based Okinawa native Junko Fisher spent Saturday near Miyazato and Kaneshi’s station, supporting her home prefecture through traditional music and dance. She wore several different styles of Okinawa kimono, played sanshin (a three-stringed banjo-like instrument), and danced classical and folk pieces. Fisher also appeared on the Asia Stage, which was situated near the Japan booth. 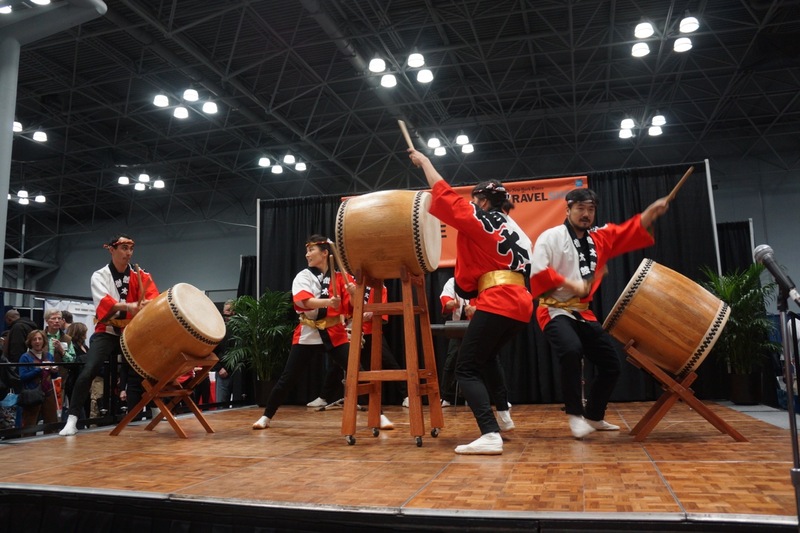 Renowned taiko drumming troupe Soh Daiko gave a brief but invigorating performance on the Asia Stage, which was also the setting for a cooking demonstration by David Bouley, the James Beard Award-winning chef of the Michelin starred restaurants Bouley and Brushstroke. Chef Bouley discussed the use of healthy Japanese ingredients in any type of cuisine. Read about Chef Bouley’s demo here. 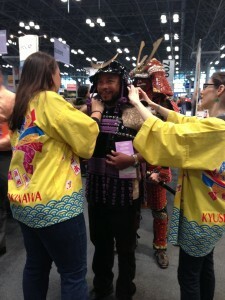 Members of the Consulate General of Japan in New York were on hand in collaboration with JNTO to present their activity, “Samurai Armor Try-On!” Travel Show visitors young and old were invited to wear a kabuto (helmet) and yoroi (chestplate) and pose for pictures with a samurai dressed in full regalia. 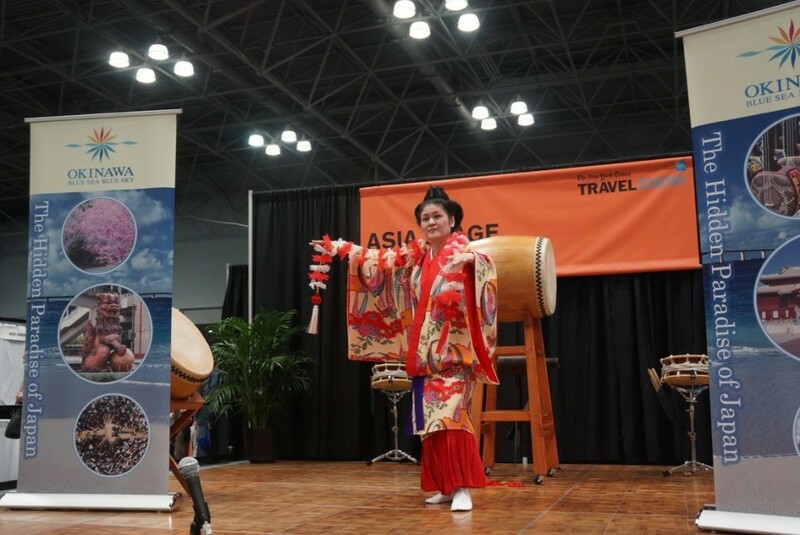 Through performances and demonstrations, booth participants made a strong push for travel to Japan and helped potential visitors explore the possibilities at The New York Times Travel Show.